Howard, Mary Lucille (nee Sheeler) loving wife of the late Earl Fred Howard. Beloved daughter of Howard J. and Mary M. Sheeler. Devoted mother of Carolyn J. Jackson (the late Jeff Miller), Gary J. (Sheila) Howard, Marilyn J. (Michael) Young, Roselyn J. (Robert) Wiley, Madelyn J. (Mike) Ginsberg, Evelyn J. (Jeff) Bellman. Also predeceased by an infant daughter. Cherished sister of Russell E. Sheeler and the late Shirley M. Tuchfarber and the late Howard B. Sheeler. Loving grandmother of Dennis, Tommy, Suzy, Angela, Donny, Sarah, Jason, Brandon, Matthew, Kerry, Jake, Lindsey, Jessica, Nick and Roxi and great grandmother of Joe, Ethan, Samantha, Jalyn, Cameron, Austin, Dylan, Levi, Wyatt, Weston, William, Caleb, Baylor, Piper, Adelyn, Allegra and Isaac. Motherhood was her greatest blessing. Throughout her life, she designed the Landmark Memorial Gardens, was a member of the Sharonville Fire Department Ladies Auxiliary, scout leader, Sunday school teacher, church nursery volunteer, Bethesda North Hospital volunteer, was an avid artist, quilter, flower gardener, researcher for The Sharonville Historical Society, and writer for the Sharonville Suburban Press. Visitation will be Friday evening, March 29, 2019 from 5-8 PM at Landmark Church, 1600 Glendale-Milford Rd., Cincinnati, OH 45215. 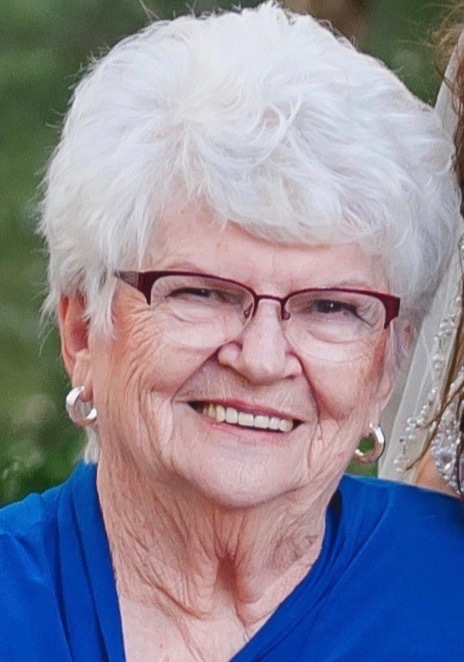 Funeral service will be held Saturday, March 30, 2019, at 11 AM at Landmark Church where family and friends may visit from 10 AM until time of service at 11 AM. Donations may be made to Landmark Church or Hospice of Greater Cincinnati.